Hello Holiday Guide by Leon’s is here! If you know me and haven’t seen me around for, ohhhh say, the last 3 months or so it’s because I’ve been pouring my blood, sweat and tears into this baby. It’s time to say Hello Holiday! 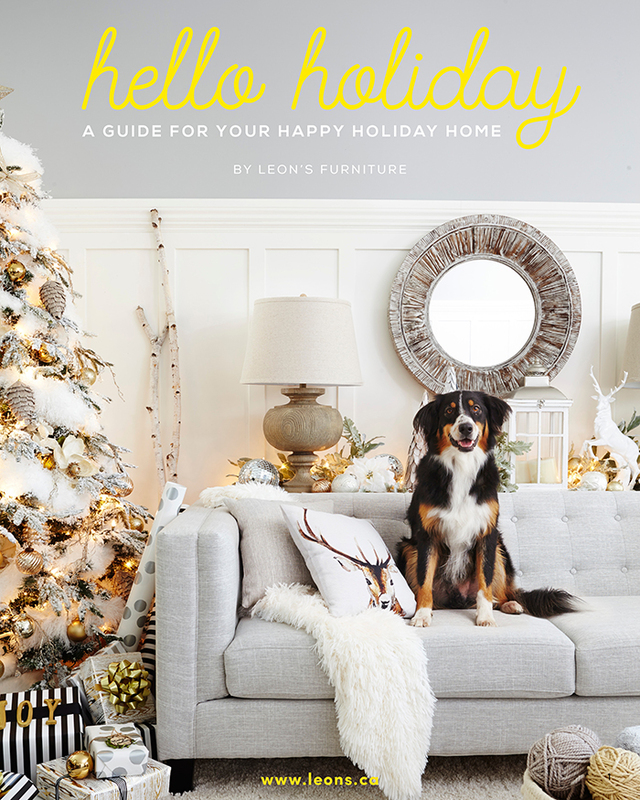 with this guide for your happy holiday home by Leon’s furniture. 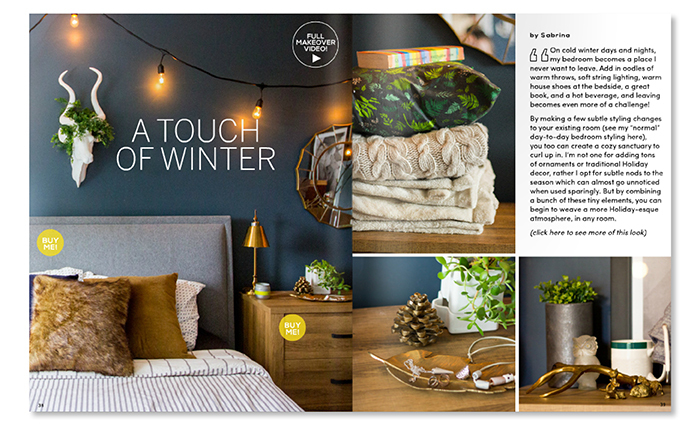 It’s full of holiday home decor, DIY and recipe inspiration to keep you busy this season. As I talk about this all the time, my friends know how passionate I am about home furniture. With this being said, it is an investment that you have to be willing to spend your money on, especially if you are as dedicated to this as I am. If I wasn’t recommended to look into the idea of a lifetime mortgage calculator, I don’t think I would have been able to continue spending my money on redecorating my home as much as I do now. It’s just things like this that we forget to consider. It will really help us out in the long run. As well as devoting my time to this, I have also been planning my next trip to the Philippines. It’s a Christmas treat to myself, even though we are going in the summer. Looking into a provider like Bicol Isarog, the planning process wasn’t as stressful as I thought. If you thought the holiday period was stressful, you don’t know what it is like to plan without knowing where to start. I’ve got the basis requirements out of the way which is what I wanted to do. But just a few bits to get sorted now. But until then, I am just looking forward to celebrating the holidays. You all remember this time last year when I put out the first issue of Merry right? (Don’t worry, there’s still one coming this year, I’ve just been a wee bit busy). 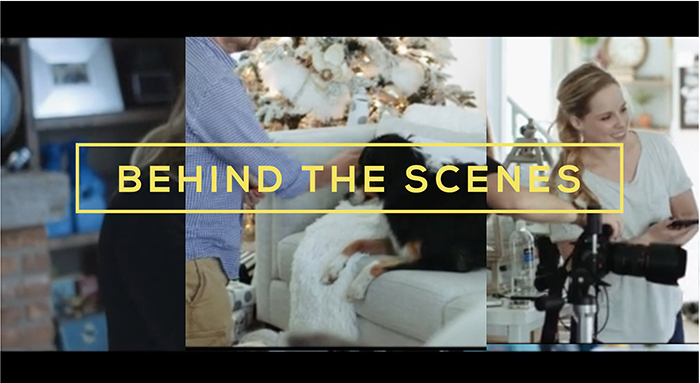 Well the good people at Leon’s furniture saw it and reached out asking if I could pull something similar together for them using their talented Hello Yellow Blog Crew plus a few special guests. Spring came and went, then Summer came and almost went with lots of chatting in between and then bam! 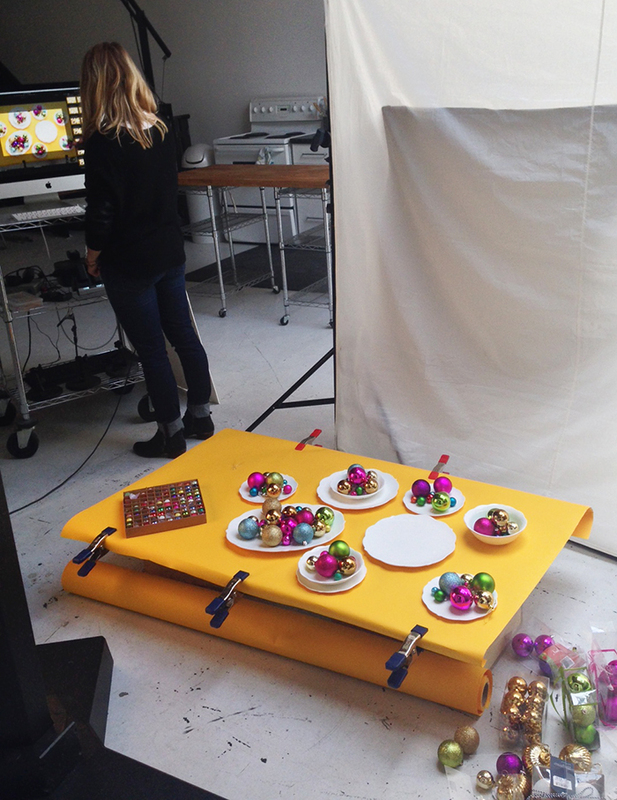 the ball starting rolling in August and we were off to create a holiday guide in 3 months! Thankfully the Hello Yellow blog crew are so amazing and Leon’s gave us a lot of creative freedom so we were able to make magic happen. 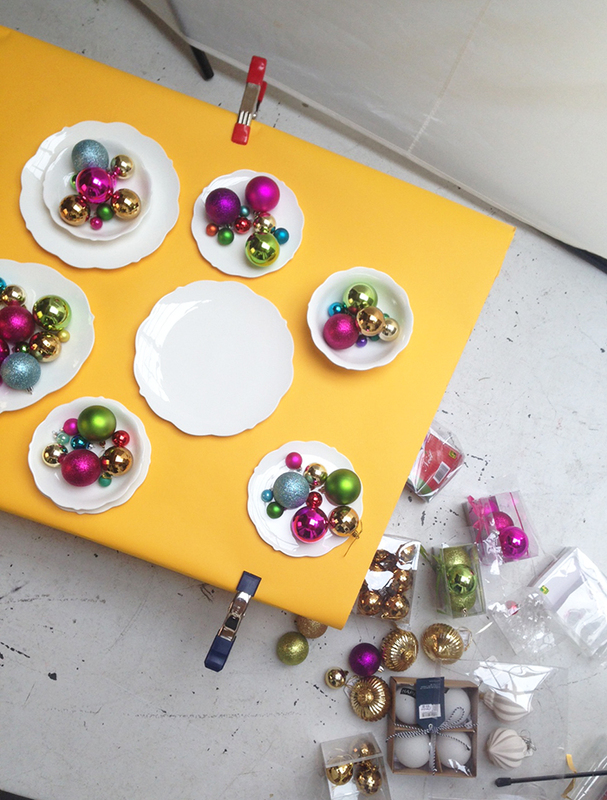 The finished guide is full of great projects and home decor in between cheerful pops of Leon’s yellow. It’s bound to get you feeling happy about the holidays. 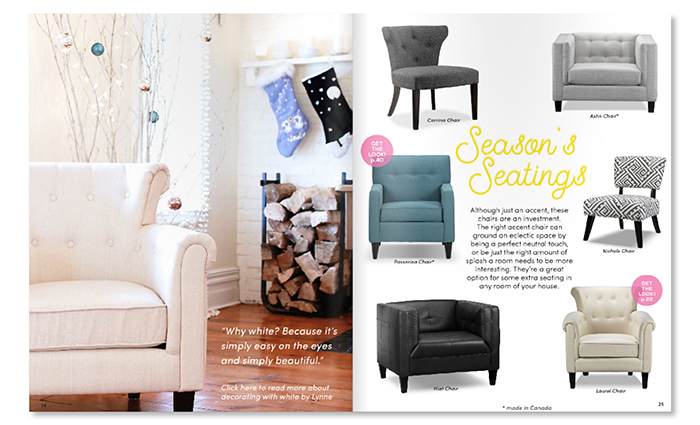 Here’s a sneak peek at what you’ll find in the pages of the Hello Holiday guide. You’ll definitely want to check out the whole guide to get your full fix. It was really important to keep the guide authentic and ‘handmade’ with almost all content created by our talented bloggers but there were a few part of the guide like the cover, intro pages and the big kitchen cooking scenes where we brought in some pros. 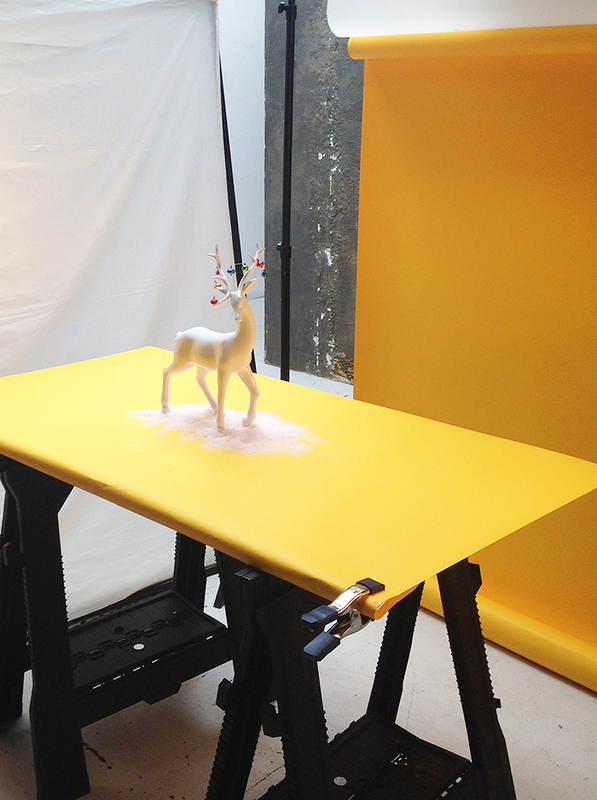 Here’s some behind the scenes from a few of the shoots we did with Maya Visnyei. I’ll admit, styling the fun and cheerful pages was my favourite. I just love really clean and simple design with lots of colour. 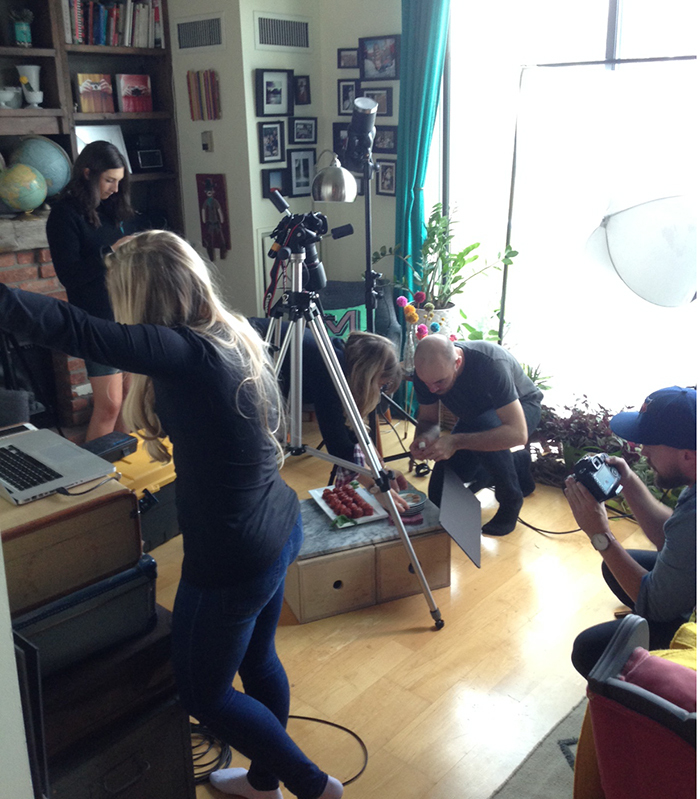 And here’s the craziness of both a photo & video crew taking over my place. Then we also decided to get things moving, literally, with the Wild & Light video crew that tagged along for a few shoots and made this great behind the scenes video. Note to self, don’t look like a slob when a video crew is in the room. Leon’s really wants you to take in the guide, be inspired to get crafty or cook up something delish up for family and friends. They also really want you to see some of the great new pieces of furniture they have and how fab they can look in your home. If you already know how great their furniture is or inspired to pick up a piece or two (or five) for your space, be sure to follow Leon’s on social media and tag #myleons. 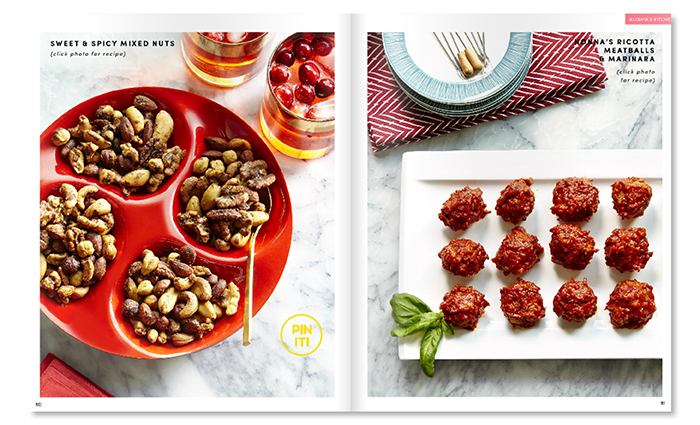 And if you decide to get crafty or cook up something from the Hello Holiday Guide, don’t forget to share and use #leonshelloholiday. 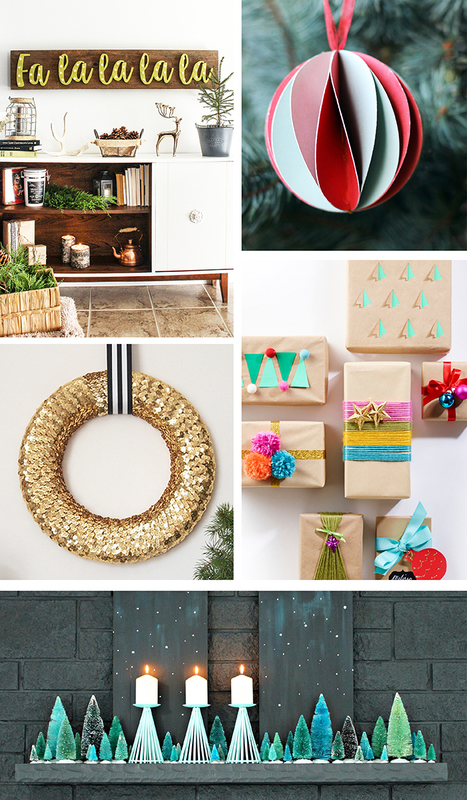 As if that all wasn’t enough to intice you to get happy for the holidays, there’s also a Pinterest contest for all you pinning junkies out there. 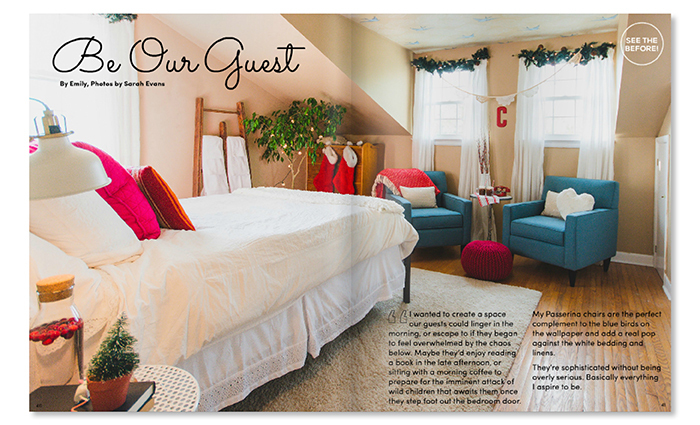 Be sure to check out the details on p.67 of the guide and pin your way to a $1000 grand prize! So what are you waiting for?!?! Go check it out and let us know what you think!!! Congratulations Melissa and team.Your book is gorgeous! Thanks so much Cynthia! I hope you’re inspired! I am crazy in love with the white garland you used to decorate the tree on the cover page. Where did you find it / buy it? Hi Tianna, that tree was decorated by one of the magazine contributors so unfortunately I can’t help you out! so sorry! I found your wonderful magazine, “hello holiday”, just in time to be inspired for the holiday season! 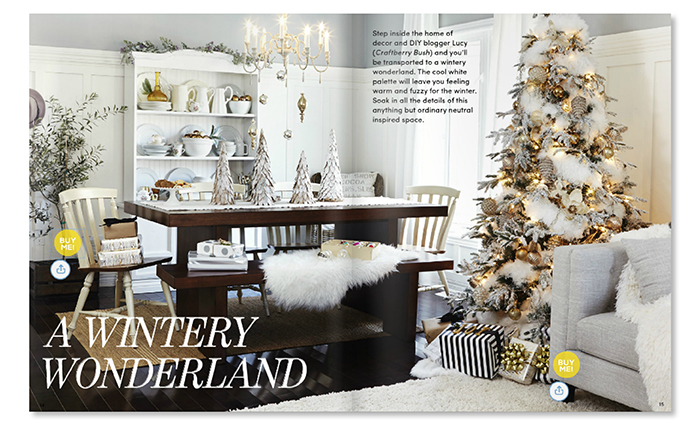 I loved the decorating ideas, recipes and the holiday bucket list! Thanks so much for reminding me that Leon’s is a great Canadian furniture store! Thanks for the kind words Deborah! Hope you had a wonderful holiday!